Basic $30- The Basic Pedicure includes nail work, pumice stone, sugar scrub and a massage. Perfect for on the go toes! Sassy Deluxe $45- This is our signature Pedicure and it includes all the nail work needed, pumice stone for those rough feet, sugar scrub, hot stone massage, soothing masque for legs and feet, while wrapped in hot towels. Parafin Treatment $10- This treatment is perfect for a client who has tired, aching feet, especially those with arthritis. Warmth will help to soothe the muscles, making you feel completely relaxed. Basic Manicure $20- This manicure includes soaking your hands in warm water, cuticle and nail work, massage and your choice of polish. 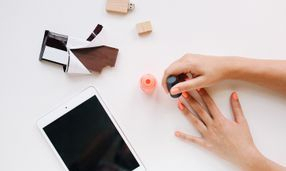 Sassy Deluxe $30- This manicure includes all that a basic includes, plus a nice exfoliation with sugar scrub, masque with hands wrapped in a hot towel. Perfect for those tired hands!! Paraffin Treatment $5- This treatment is perfect for a client who has tired, hurting hands, especially those with arthritis. Warmth will help to soothe the muscles, making you feel completely relaxed. Lash Refill $50 and up depending on how many and if any were damaged. Before appointment please remove all eye makeup, most importantly mascara. Please arrive 10 minutes early to fill out necessary forms. Care instructions will be given at time of appointment!